Even if you’re professionally well established and well known, by becoming a thought leader you can still boost your ability to generate considerable new and higher-quality business. Becoming a thought leader is the process of being a recognized industry expert combined with the ability to seriously monetize this positioning. Here, monetization means creating a pipeline full of highly desirable prospects very strongly predisposed to become your clients and quite willing to pay the prices you set. Because the prospects come to you strongly endorsed by other professionals or from your current clients, it’s quite likely that your ability to convert them into clients is extraordinarily high. 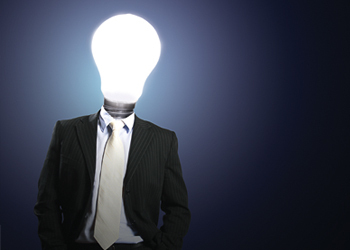 Many accounting firms, of all sizes, try valiantly to become thought leaders. They might publish reports, write articles, produce webinars and have their partners speak at conferences. While some of these firms are effective, by our definition of thought leadership, which includes monetization, the vast majority of accountants and accounting firms are not thought leaders. They’re going through the motions and producing content (some of it quite exceptional) without the strategic planning and related actions that tightly connect high-caliber intellectual capital to a constant flow of high-caliber, profitable new business. By becoming a thought leader, which for the greater majority of accounting firms is the optimal business development methodology, you can seriously super-charge your practice. You can create a pipeline of new decidedly attractive new business that will not only greatly increase revenues , but likely super-charge your personal wealth as well.